Our Swiftwater Rescue Team is made up entirely of volunteers who dedicate considerable time and effort to being well trained and equipped to perform our rescue missions when called upon. This Team is a critical component of emergency response during flood conditions and is responsible for any searches around or involving moving water. 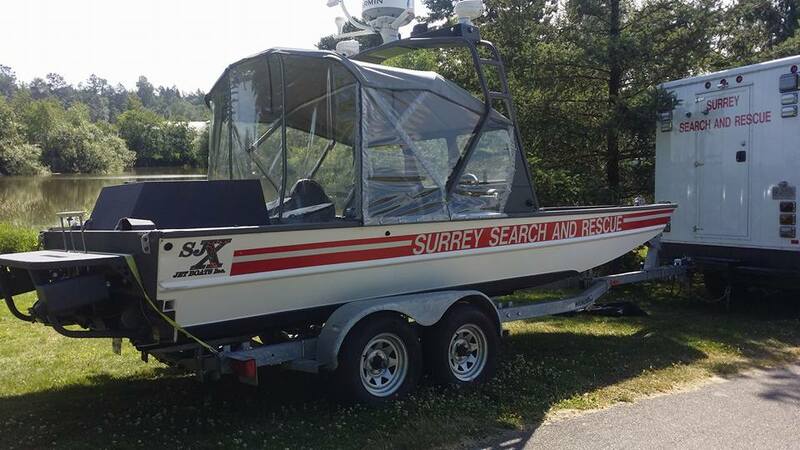 Our specially trained technicians are taught how to operate safely in the high risk environment of moving water, and to perform rescues with our technicians being in the water or on a boat. The waterways in the South Fraser region are made up of slow meandering creeks, rivers, ponds, drainage canals and rivers. All of which can be deadly or come alive and turn in to fast flowing torrents of water given the right conditions. All of these water environments can contain hazards that include rocks or other fixed obstacles, branches or other entanglements, strainers, turbulent or submerged currents, cold water, and even nearby watercraft. Our Swiftwater team is responsible for any searches around or involving moving water. The Swiftwater team is trained to perform both rescues with our technicians being in the water or on a boat. 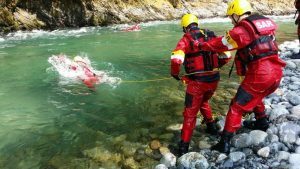 The nature of water rescue is that we must train in the same hazardous environment in which we work – there is no such thing as completely safe Swiftwater! A high level of hazard, widely varied conditions, and perishable skills demand frequent training both for effective rescue and to keep our rescuers and subjects safe. Flood waters are extremely dangerous, and should not be entered by anyone other than properly trained and equipped rescuers.